MAXWELL'S DEMON, first known as THE ARZAMAS PROJECT, began as a collaboration between John Galbraith and Craig Beebe, two electrical engineering graduate students at the University of Arizona. Once they acquired a drummer, Christine Scheer, they began writing and rehearsing 10 -20 minute non-tonal, instrumental epics, in the vein of KING CRIMSON and ANGLAGARD. Attempts were made to record these, but the results were not ready for prime time. Christine was dropped and Craig moved to Chicago after graduating. John and Craig kept the band going however, by recording their first album "Prometheus" with Dow Draper on drums. They are about to begin recording their second album, "Diablo". 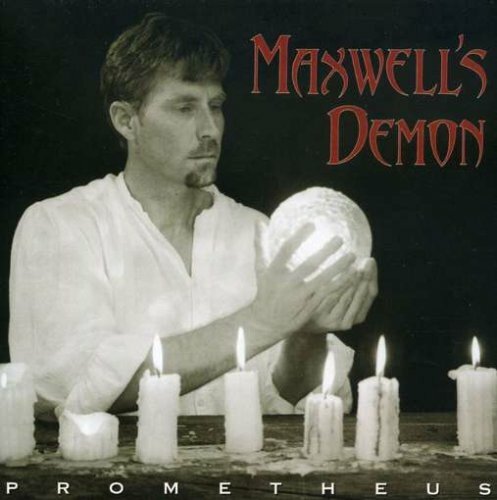 "Prometheus" was very well received by those in the prog community who discovered it, even making one reviewer's top 10 list of prog albums from 2001. It is one continuous track, lasting approximately 39 minutes, that aurally tells the story of Ayn Rand's short story "Anthem". It is instrumental, non-tonal, melodic yet highly complex, and has fantastic production. It was a strictly analog recording and mix, with all analog synths, a real B3 organ and Mellotron. "Diablo" is shaping up to be an even bigger album, so be prepared!